You might remember Spike of the Tom & Jerry Show(Yes, that brutal yet adorable dog!). Remember his cute little dog house and how he seemed to have some nice cozy sleep in it(until Tom would bother, of course!)? So how about getting your kitty her own snug cat house? Pet houses have been popular for decades. Especially as people used to keep their dogs outside. A pet house gives your pet a sense of security, independence, and a homely feeling. It can be great for their mental stimulation as well as their physical comfort. It is evident that cats like to have their own privacy and some lone-time as well. Thus, in my opinion, a cat house can be a great idea! There are multiple kinds of cat houses in the market – outdoors, indoors, heating etc. However, we have sorted them all out and hereby provide you the best products of all! Why Buy a Cat House? Is it that Great? 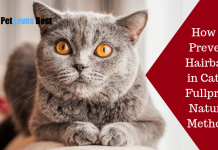 Indoor Vs Outdoor Cat House – Which One do You Need? Below are our most favorite cat houses of all. We have categorized them by their respective price range for your convenience and better selection. MidWest Curious Cat Cube: With thousands of happy customers, MidWest indeed offers something solid here. The bed comes in multiple variants from a 2 story to a 3 story condo. If you have multiple cats, the 3 story variant can be the one for you. Also, it is made with gorgeous synthetic sheepskin that adds to the beauty of your home decor. It also features a cat scratcher for healthy grooming. This sturdy designer cat house is surely one of the best value for money product on the market. Best Pet Supplies, Inc. Tent Bed: With nearly a dozen gorgeous variants to choose from, this Tent-like kitty house is a great budget choice. It is a 2-way cat bed. Either your kitty can snuggle inside or you can push down the top to let the cat sleep in an open conventional bed. Besides being a budget product, there is no compromise on the quality of the cat house. It comes with quite a feather-soft surface to let your kitty have some sound sleep. With excellent durability, this product is surely a good investment. Petsfit 2-Story Outdoor Cat House: Taking the outdoor pet house to another level, the guys at Petsfit have created the perfect outdoor cat shelter. It is made of hardwood cedar and is decently sturdy. It is also weatherproof to save your pet against storms and rain. The design features an indoor ambiance at the bottom and an open top with a roof. There are 2 variants to choose from – one with ladders and other with a scratcher. All in all, this cat shelter is something you’d not regret investing in. Everyone tends to have their own spot, right? The same is with our pets. Although they don’t mind following us around, yet it is essential for them to have their own comfy place. Providing no proper allotted place for your kitty can make them think of the whole house as their own. And therefore, it can even make it unmanageable to control their behavior. They will use the couch, the dining table or your own bed as their own. And there will be nothing for you to tame them. Though there is a solution! Give them a place of their own where they can be when they seek comfort. A cat bed might not be a bad idea. But you know what can be a better idea? A cat house!! A cat house does not only provide them with a homely feeling and make them feel safe but also gives them insulation. It saves them from the chilly weathers as well as the moistured ones. No matter how cold it will be out there, your kitty will always be insulated, warm and snug. Same as the humans, cats get sad and depressed as well. And what does one seek when they need some comfort? Of course, your own bed, right? Maybe not, but if your cat is suffering from the same, it will be great for her to have her own house. There she can sit and sleep for hours to get over the sadness her master has brought. And probably the next morning, she’ll get over the plate of fish you didn’t share with her! Moreover, kitty houses are great home decor too. 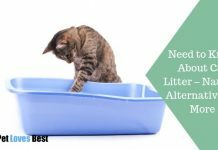 Unlike the stinky old cat beds that look dull over the time, there are very few chances that a cat house is going to get dirty and stinky(from the outside, of course!). It will surely make every visitor fall in love with the adorableness of your kitty! Lastly, unlike cat beds, most kitty houses are detachable. Thus you can easily carry them with you on your vacations or outings. And your kitty will always feel homely even when you’re miles afar from the home. Well, there are a lot more advantages to having a cat shelter. You’ll get to know more in the product reviews below. Wait right there! We will get to the reviews of cat houses available in the market right now. Just check these perfects houses for cats who will love them. Made with 600 Denier fabric, this cat house is super stylish. It is safe against water spills and minor level of moisture. Thus, it turns out to be an indoor pet house. It comes in 2 variants – with heater and without one. To keep your kitty snug and warm in cold weather. There is not much difference in the price of both the products which is why we suggest you go with one including a heater for better comfort of your kitty. All the K&H products are MET listed, which means they are safe for your pets against any electrical failure. In addition, it consumes just 6 watts of power to function. It is lightweight and can be detached easily. Therefore it is super convenient to carry for vacations. Everywhere you go, your kitty will feel homely! Lastly, this cat house looks super cozy and will make all you guests go wow over the cuteness of your kitty. Firstly, super stylish design and colors. Comes both with and without heater with a nominal price difference. Looking for a conventional solid wood outdoor cat shelter? Here it is! This outdoor kitty house from Petsfit is made using natural cedar and the roof is made from asphalt. It looks pretty nice with artistic paint and clean woodwork. The whole cat shelter is weatherproof. However, the brand has provided little gaps in the below surface so that your cat can easily breathe. It is spacious and can easily fit one or two small cats. The bottom is removable and the asphalt roof can be opened, which implies easy cleaning. Also, the whole thing can be set up pretty easily. With great customer feedback, this cat house is a solid choice. Firsly, it is a great outdoor cat house with solid wood construction. Looks vintage with water-based paints and cedar wood. For winter you may need to insulate the bottom. Though do ensure to keep air vantilation. As the name already suggests, this one is an outdoor pet house from Millard. Its super amazing feature is that besides being an outdoor cat house, this one comes with a heater! Yes, you heard it right. Milliard Pet House is an outdoor product with an inbuilt heater. The featured heater plug is grounded and the cable is coated with PVC to make it safe for kitties. Even if your cat bites on the cable, it will endure all those bites and save her from an electric shock. The cat house comes with a roof that can be opened to let more wind come inside. Also, the two-way doors are transparent to let the kitty keep an eye on you! Made from 600 Denier fabric, this pet house can endure water spills and scratches from your cat’s paws. A heated cat house that can be used outdoors. The power plug is grounded and cable is chew proof for better safety of your cat. Waterproof and scratch resistant fabric. The bed is weatherproof. However, it cannot endure heavy rain or moisture. Looking for more solid Outdoor Cat Houses? Check out our Outdoor Cat House Review! If you have more than one cat at your home or looking for something unique, there you have it with this kitty house. This unique pet house features 3 tiers. To be more precise, this is a cat condo rather than a kitty house. There are two bottom tiers or hideouts where your cat can snuggle herself in. And if she is more care-free or does not want much isolation, she can lie on the top which is the third open tier. On the sides, there is a scratch panel for your itching pet. It also promotes healthy grooming as cats love to scratch themselves up against rough surfaces. This cat hideout is sturdy and easy to assemble. And for storage purpose, it can collapse into convenient size without much hassle. There is soft faux and artificial sheepskin on the cat house surfaces, which is comfy on cat’s body and adds to the beauty of the condo. A gorgeous product with amazing features! Also, there are other 2 tier variant available from the brand as well. Comes with a cat scratcher to promote healthy grooming. Beautiful synthetic sheepskin adds to the beauty of your home decor. Perfect for those who have multiple cats. The cords that hold the toy balls can be chewed away! Best Pet Supplies, Inc. manufactures some of the best tent-like cat houses. All these beds come with linen plush fabric, which is feathery soft and comfy on your kitty’s skin. It features a two-way design. When in the mood to snuggle, your cat can be inside the tent and have some insulated cuddling sleep. And if in the mood to keep it more ventilated, the top can be gently pushed down to create the normal open bed shape. The bed/tent looks extremely gorgeous and will add to your home decor. There are nearly a dozen styles to choose from! Lastly, the product is made from quality materials and will not ditch you very soon. As it is made to last long with durable linen. Gorgeous looking tent bed with nearly a dozen variants to choose from. Made with comfy and soft materials. Sometimes the top tips over. When we say a pet house, we mean a small house like structure just like those old cartoon shows, right? However, this isn’t how the guys at Petmaker thought. They made a completely different Tent House for your kitty! Made from a feather-soft fabric, this cat house lets your kitty relax and have some sound sleep. It is soft on their skin and supports their body with a great ease as the mat inside comes with comfy foam. Unlike the conventional cat houses, this one does not come with a low ceiling. Some kitties do not like snuggling into cave-like structures yet likes to be insulated. This cat house is perfect for such kitties. Moreover, its unique design will add to your home decor whether your kitty likes it or not! Support for aching kitties, mushy surface and great design are the best features of this pet house. Firslty, there is enough space for your kitty to roll or snuggle. Beautiful design to add to your home decor and your cat will surely love it too. Amazing comfort and coziness for the sound sleep of your kitty. Lastly, support for aching joints of old cats. Not for big fat cats! And here comes the most premium product on our list – Petsfit 2-Story Condo! This outdoor cat house is made of solid cedar, which is rot-proof and does not need to be protected against water. And the roof is made of asphalt to protect the kitties against rain. There will be little gaps at the bottom to provide air circulation. Therefore, you may need to add some insulation at the bottom for cold weathers. The house is easy to set up and comes with drilled holes. The wood panels provided are 12 mm thick, which is not quite thick yet can be enough to handle a non-destroyer cat! The unique cat house comes in 2 variants. One with ladders and other with a scratcher instead of ladders. Here, the scratcher variant can be used to promote healthy grooming. Finally, the 2-tier design of the house is very attractive and interactive. It allows the cats to have some cozy sleep as well as have fun with their very own house. Firstly, this 2 story condo for cats looks super attractive and cute. Comes in 2 variants- with a ladder or a scratcher. Lastly, it is sturdy yet not for a destroyer. There can be damaged parts because of poor transportation. However, it can be easily replaced as assured by the manufacturer. This is not a comparison. Just a few facts about each types that can help you decide which one can suit you better. Mostly comes with better safety precautions. Such as better coating on electric wires(for products with a heater). Weatherproof to not to let the water get inside and prevent water spills as well. Most outdoor beds can be used indoors as well. However, they may not be as stunning as the indoor ones. Also, it is highly unlikely that such beds will come with soft cushions and paddings. They can be carried for small hikes or outings. Lastly, toughness and protection are the main factors kept in sight to make such beds. Firstly, it may or may not be weather proof and tough. However, it is often made with a view to add to your home decor. As being made for your home decor, such beds come with gorgeous looks. But the delicate materials may not endure against tough weathers. Looks, comfort, and delicacy are the major features that such bed provides. We believe that you would have already chosen the perfect cat house for your kitty. And if not, what is bothering you fella? Do you have some query or confusion? If you do, let us know. We’ll try our best to solve any of your queries and guide you with our knowledge(read – Wisdom!). And if you do not, what are you waiting for? Go get your kitty a cat house, will you? Meanwhile, we at petlovesbest, will be functional to get you the best for your kitty as always. 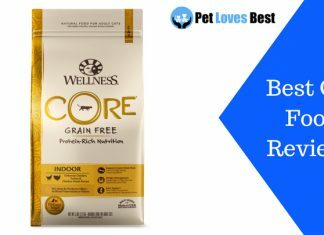 Next articleBest Indestructible Dog Bed Reviews – Chew Proof & Tough!